Cincinnati and Dayton A & B Class Investment Properties! Enter your information HERE to get started! Also get emails when we get new Ohio turnkey properties in our inventory. Sit back and relax, we have you covered! We do all of the heavy lifting for you. Our amazing team handles all stages of your investment, beginning with acquisition and following through to property management. All you have to do is have a conversation with one of our portfolio specialists, share your short and long-term financial and investment goals with them, then choose your property and sign the closing papers. If you wanted to do all of the things that we offer on your own, you’d need a realtor, a general contractor, and a property manager; THEN you’d need to find a title company, then you’d have to hire and manage a crew for the project, then the crew will do sub-par work and you’d have to deal with the hassles of firing them and getting pushed behind schedule…OR you can just give us a call and we’ll handle all of that for you! 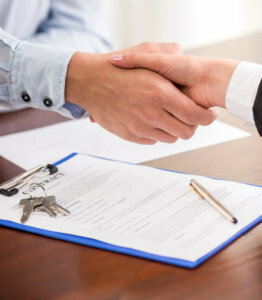 In-house, we have a realtor brokerage, property management, SEVERAL general contractors with myriad certifications and licenses, and the knowledge and experience of the entire process, hundreds of times over. A personalized, long-term investment strategy tailored just for you. Our VIP Buyers can “order” their properties by meeting with us to develop their strategic wealth-building game plan. All properties are purchased specifically for them and never made available to the public. We will meet with you to customize your UNIQUE wealth/retirement blueprint to ensure you get on the fast track to achieving your financial goals! We work directly with you to custom-tailor a wealth-building real estate portfolio that is specific to your exact needs. Are you interested in buying just one property? We’ll find a great one just for you. Do you want to create an entire portfolio so that you can retire in 15 years based on that income? We’re on it! Let us work on your behalf to fulfill your investment and financial goals. With our extensive network and resources, we have the unique ability to buy in volume to achieve the grandest of wealth-building plans. Ohio Investment Properties For Sale – Get On The Preferred Buyers List. It’s FREE! Because of the excellent investment property buying opportunity in today’s market we add new Cincinnati, Dayton, Columbus, Cleveland, etc properties that are far below market value to our list weekly… and they tend to get snapped up extremely quickly. So, are you interested in getting on our Preferred Buyers list (it’s free!) so you can be notified of each new investment property available? Excellent!